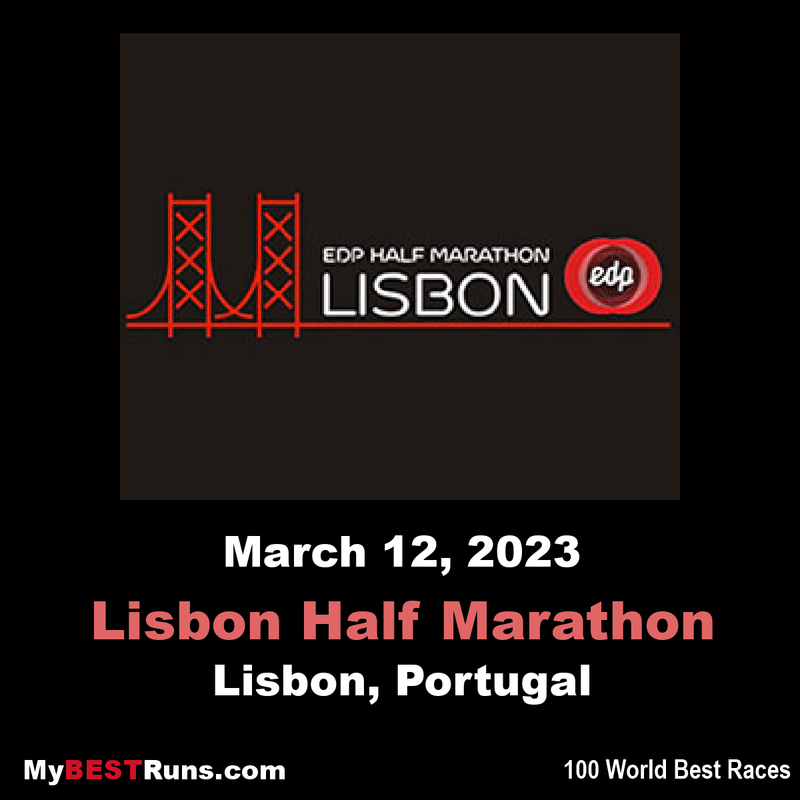 The EDP Lisbon Half Marathon is an athletic competition with competitive purposes and at the same time takes place the Mini Marathon with entertaining features. The Lisbon Half Marathon grew from the desire of a small group to see Lisbon invaded by people who, by crossing the Bridge 25th of April, would discover and enjoy places usually monopolized by cars in a totally different way. It was a huge challenge for the time. Looking at the big bridge, impressive in its steel structure and giant feet plunging into the Tagus River, the idea arose in the mind of Carlos Móia in a restaurant. This had already been done abroad, but in Portugal, a country of conservative habits, the challenge would have to overcome many barriers. “I remember crossing the bridge on foot was a dangerous idea. As the subject had to pass through government, I soon realized this would be a long, bureaucratic process. I spoke to my friend and companion of other adventures, Francisco Lucas Pires, who knew which paths to follow to execute this ‘crazy’ idea. He scheduled a hearing with the President of the Republic at the time, Mário Soares, who then took the matter to the Minister of Public Works, Ferreira do Amaral. From there on came many days of silence. I didn’t give up, so I asked a hearing to the Minister, who told me to wait for an opinion by the office responsible for constructing the bridge in the United States, whether the structure could cope with an event such as this. Impossible without it! I thought there was no political will and felt disappointed, but I didn’t quit and insisted so much that the Minister eventually told me he would give his authorization if, as a replacement for the request opinion, I assumed responsibility for it. I obviously didn’t. I admit fear was greater than the desire to advance. If the Minister himself felt the need to request a technical opinion to the Eiffel company that built it, who was I to assume such responsibility? After the bridge crossing was approved, it was time to get support from the Mayor of Lisbon, Jorge Sampaio. “He was a safe haven,” recalls Carlos Móia, “soon realizing the importance the event could have in projecting the city and always believing in the Half Marathon’s potential over the years”. And so it went, Sampaio was linked to the start of the event that, years later, he would participate in as President of the Republic. On March 17th, 1991, began the official history of the Half Marathon, as the Minister of Education, Roberto Carneiro, who also oversaw sports, was in the first group of people ever to walk across the Bridge 25th of April. The course was judged as non-permissible for records until 2008, in which year the organisers changed the elite course to allow for records. The new course begins atsea levelon the north side of the river Tagus, a change which made the course entirely flat. The course for the mass participation race, which has attracted almost 30,000 runners in previous years, remained unchanged and begins by crossing the Ponte 25 de Abril suspension bridge before linking up with the new elite course. Since 2008 a 50,000 Euros bonus has been set aside for either a man or woman who sets a world record. 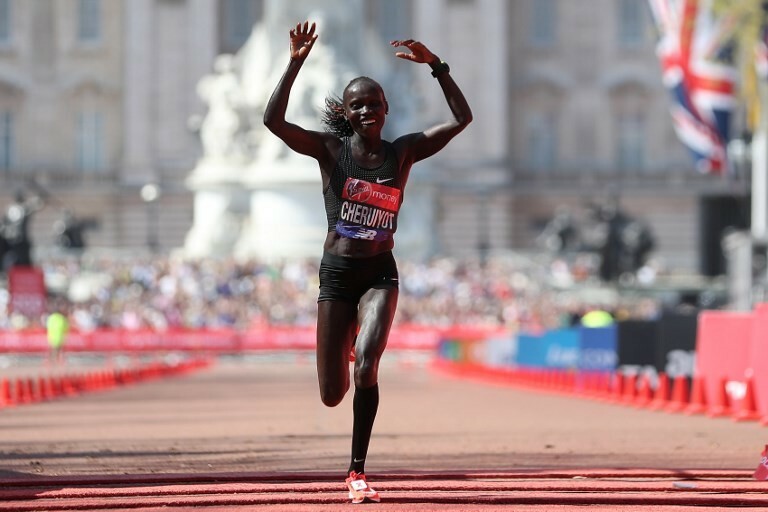 The course race was measured officially by approved measurers of AIMS and IAAF and has an official distance of 21, 097 MTS. 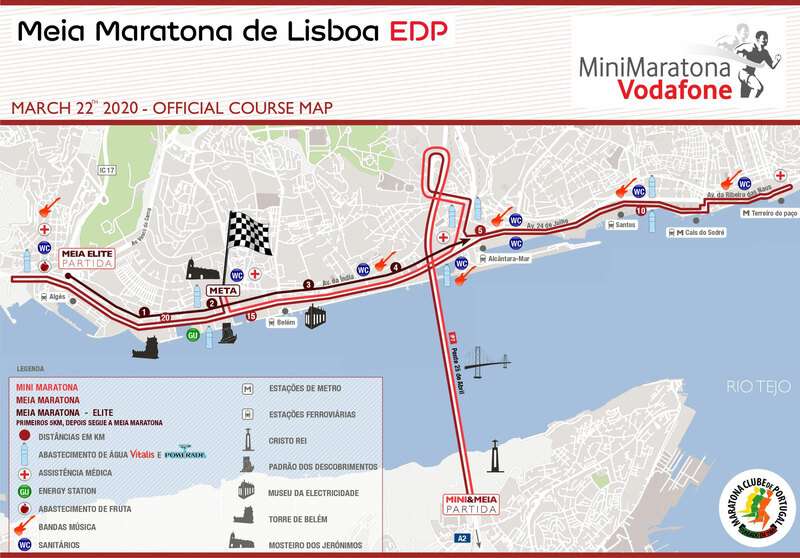 The race start will take place at 10h 30 on the Bridge (Ponte 25 de Abril) a little after the toll barriers. Winning the Gold Road Race title confirms the Lisbon Half Marathon as one of the most attractive in the world.